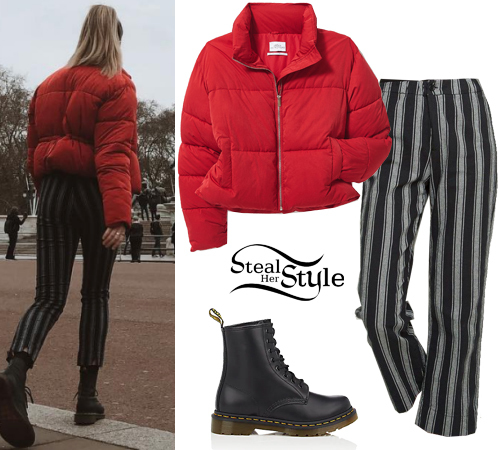 Katy Perry was spotted out and about in West Hollywood wearing an Urban Outfitters Kyoto Overdyed Crop Sweatshirt (Sold Out), Adidas Originals SST Striped Jersey Track Pants ($65.00), a Chanel Quilted Waist Bag (Not available online), Bandolier Lucy Pebble Leather Crossbody Case ($98.00), Jennifer Fisher Mini Kevin Hoops ($350.00), Ray-Ban Classic Wayfarer Sunglasses ($153.00), a Supreme Mesh Side Panel Camp Cap (Sold Out) and Adidas Adilette Slide Sandals ($32.00). 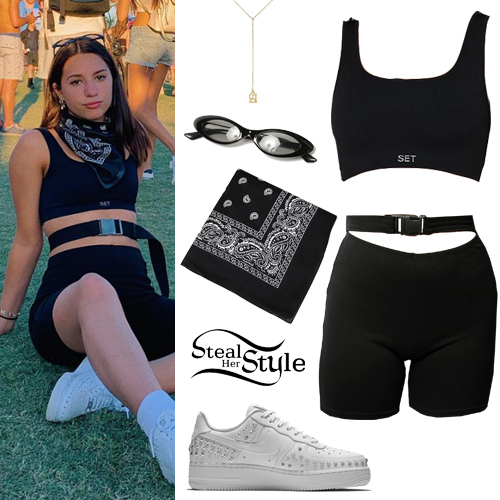 Selena Gomez was spotted having launch in long Beach wearing an Urban Outfitters Out From Under Saratoga Open Cardigan (Sold Out), 7 For All Mankind High Waist Josefina with Angled Seams ($89.00), Jennifer Fisher 2″ Lilly Hoops ($395.00), Kate Young for Tura Pearl Sunglasses ($295.00) and Gucci Brixton Convertible Loafers ($730.00). Ariana Grande was spotted out and about in New York City wearing a Vetements x Alpha Industries White Oversize Bomber Jacket ($1,111.00 – wrong color), a vintage Fendi Monogram Zucca Bowler Tobacco Bag ($157.50), Urban Outfitters Animal Ears Knitted Beanie (Sold Out) and Stuart Weitzman Highland Suede Over-The-Knee Boots ($619.00). 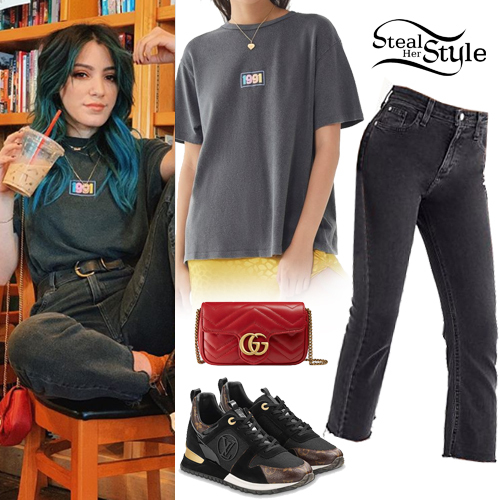 Niki DeMartino posted some pictures on instagram wearing a 1991 City Tee ($39.00) and BDG High-Rise Cropped Kick Flare Jeans ($64.00) both from Urban Outfitters, a Gucci GG Marmont Matelassé Leather Super Mini Bag ($890.00) and Louis Vuitton Run Away LV Sneakers ($800.00).